Saturday morning dawned bright and clear but very cold. 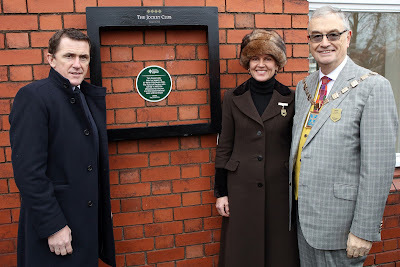 I was booked to be at Aintree (which is in Sefton rather than Liverpool) to open the Jockey Club's new Aintree Community Hub. The Aintree Community Programme has five themes – Health & Wellbeing; Mental Wellbeing; Community Engagement; Disability; Riding in the Community. All programmes have been designed to ensure we focus on the important issues in our community whilst being aligned to racing and Jockey Club roots. 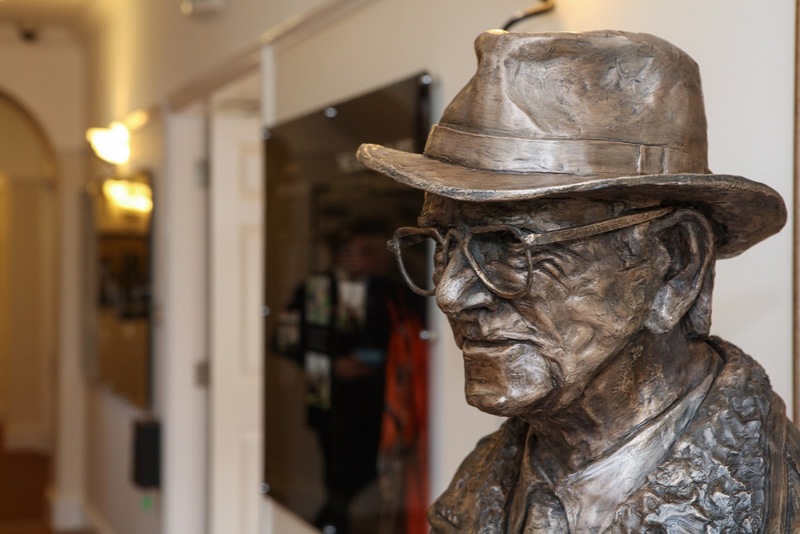 Most recently, the Aintree Community Programme received funding from the Sir Peter O’Sullevan Trust to build a Community Hub at the Racecourse in order to focus and support the key themes of the programme. You can read more about the event here. It was good to meet many of the people involved in successfully launching this programme. I was particularly pleased to see that 'Mental Welbeing' was one of their chosen themes. I also got the opportunity to meet some of the folk who use the centre who had been invited to the opening. One young man invited by Everton in the Community, an excellent programme organised by the Goodison Club, was going to take part in the guard of honour at Everton's Sunday match aginst Man United. I also met the wife and daughter of the sculptor who produced the bust of Peter O'Sullevan and which now is an impressive focal point of the new hub. If you get to visit make sure you ask to hear the audio of Rory Bremner 'doing' Peter O'Sillevan, it is brilliant.